Cultural Politics and Asian Values looks at the political, cultural and religious background of East and Southeast Asian societies and those of 'the West', with a view to seeing how they are affecting contemporary national and international politics: democratization, the international human rights discourse, NGOs and globalisation. 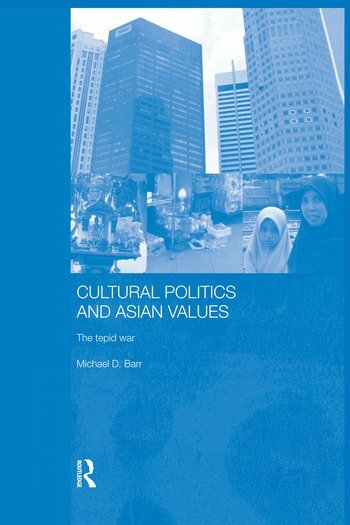 The book surveys the political history and pre-history of the 'Asian values' debate, taking it up to the era of Megawati Sukarnoputri, Chen Shui-bian and Kim Dae-jung. In chapters on Confucianism, Buddhism, Islam, Christianity and liberalism, Barr explores the histories and conceptual essences of the world religions involved in or affected by the debate.